If you’re anything like us here at dealchecker, when you think of Orlando, Mickey Mouse and amusement park rides are probably the first things to spring to mind. In fact, it can be hard to think of anything that’s not theme park-related – it is the theme park capital of the world, after all. But Orlando is chock-full of exciting activities away from the theme parks. And we don’t just mean for the kids; there’s museums, shopping malls that would make Cher from Clueless green with envy, and plenty of nightclubs to keep the good times rolling after hours. Plus, there’s a whole host of things to do for kids who have tired of lining up for rollercoasters and parades. 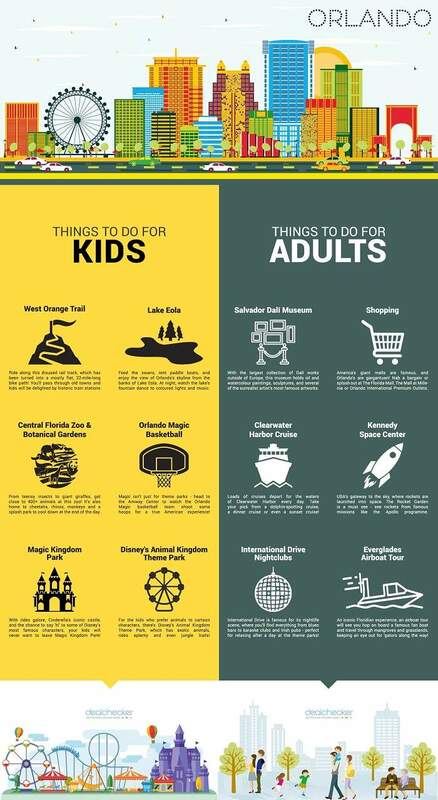 To help you along on your next Orlando holiday, we’ve put together a handy little guide for things to do and see that both kids and adults should get a kick from!